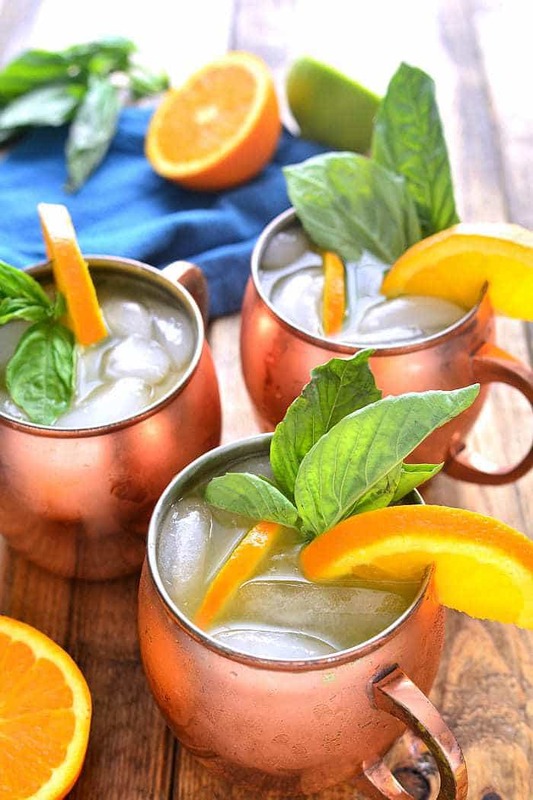 Orange Moscow Mules are a sweet and refreshing cocktail, combining orange juice, ginger, and a hint of lime. 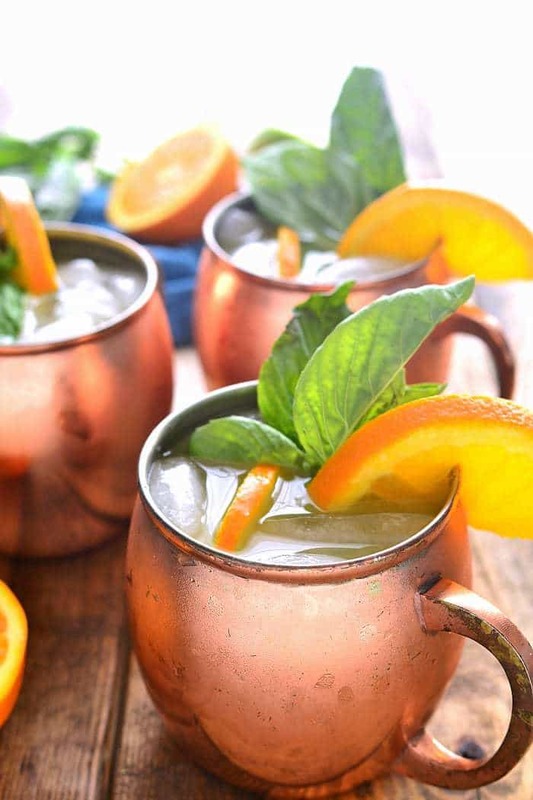 Make just one or, better yet, make a whole batch – these Moscow mules are ALWAYS a hit! You guys. I had the COOLEST experience yesterday! I got to attend the VIP Grand Opening of a brand new grocery store in Milwaukee. Now, I know….the grand opening of a grocery store doesn’t necessarily sound amazing. But it WAS! Because this isn’t just any grocery store….it’s a totally different kind of shopping experience. Complete with Starbucks and sushi, gelato and smoothies, an oyster bar, a real bar….you get the picture. It’s the kind of place you could get lost in. The type of place you could meet friends for lunch. The type of place you could go for a date night! Yep, I said it. Date night at the grocery store!? Those of you who have kids can probably relate. I can’t tell you the number of date nights that have ended with a stop at the grocery store – for bread or milk or something we need for lunches the next day. The good thing about a grocery store date? You’re already there! I’m only half joking….but really. Our typical Friday night consists of a movie, some pizza, and maybe a couple drinks. One of our favorites? 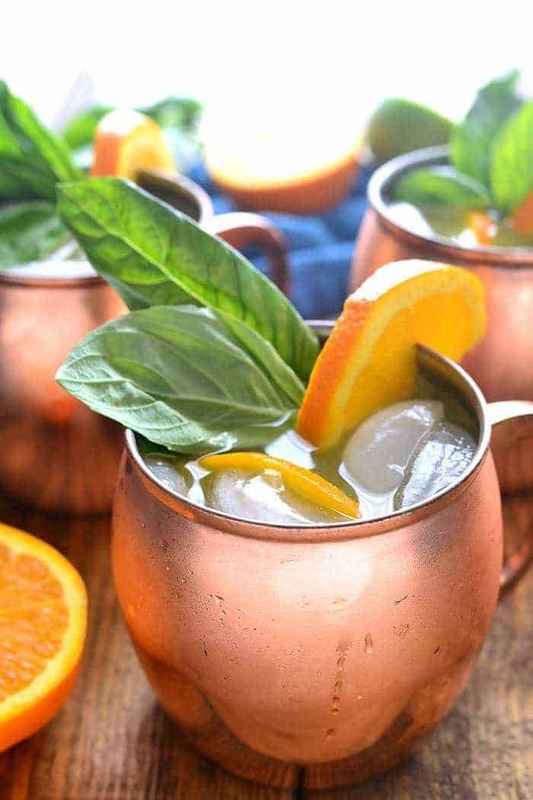 MOSCOW MULES! 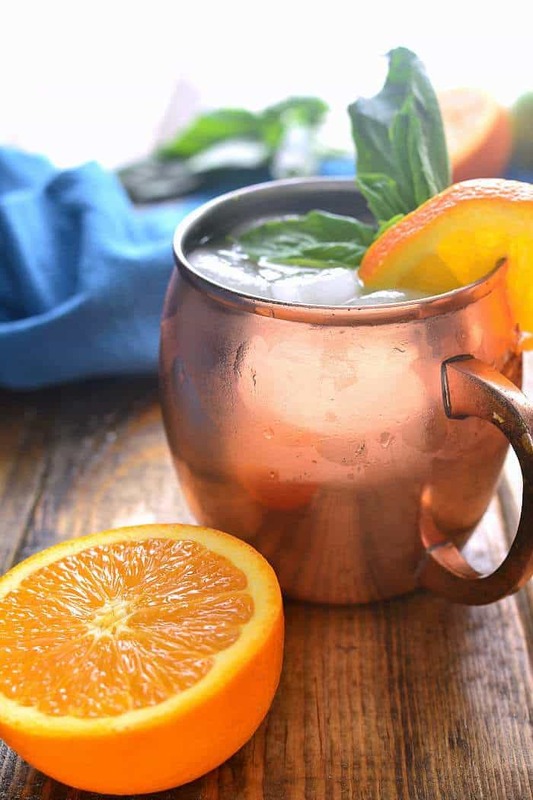 I love experimenting with different flavors of mules, and these orange ones are right up there in terms of deliciousness. They’re sweet but not too sweet, with a splash of lime juice and the zip of ginger that makes mules so amazing! Between Orange Moscow Mules at home or a date night at the grocery store, it’s hard to say which we would choose. Maybe moscow mules and then date night!? Either way, I would definitely recommend one (or two) of these delicious drinks…..and if you ever have the chance to attend a grocery store grand opening, I’d definitely take it! You never know what you’ll find, or where you might be taking your next date night! Be sure to try some of my other Moscow mules, like Pineapple, Apple and Pomegrante! 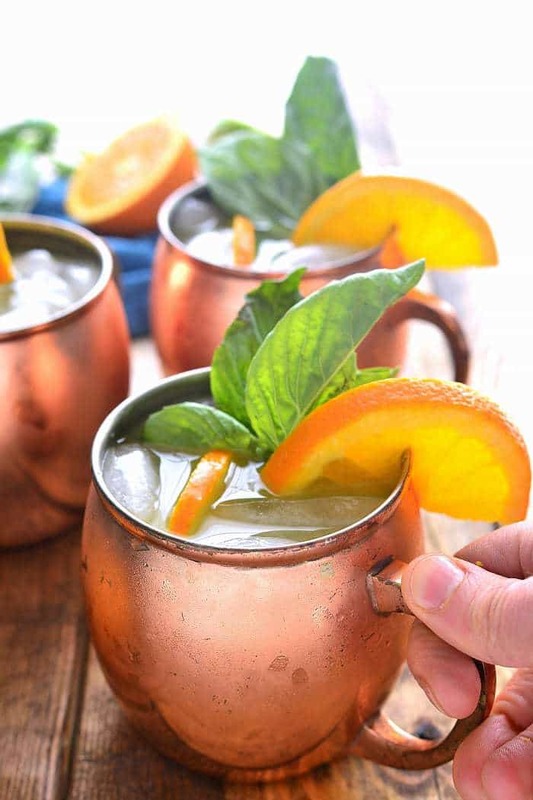 Orange Moscow Mules are a sweet and refreshing cocktail, combining orange juice, ginger, and a hint of lime. Make just one or, better yet, make a whole batch - these mules are ALWAYS a hit! Don’t forget to follow us on Facebook to stay up to date with all our current events! I love your copper mugs. I think this drink sounds really refreshing and would give me a sigh of relief from the day. These sound incredible, Cathy – such gorgeous photos! Your photos are so beautiful…and your drink looks so refreshing! And that grocery store sounds AMAZING! Lovely pictures and a lovely blog. 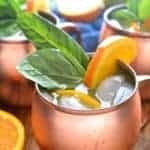 What a nice twist on a Moscow Mule.It looks very refreshing .I served Moscow Mules at Christmas party and everybody enjoyed it.